The epitome of red carpet glamour, the TIGI S Factor collection delivers shimmer, shine and silky smooth locks. First cleanse and nourish your hair whilst boosting shine with the outstanding shampoos and conditioners. You will discover the perfect products for lacklustre, lifeless, dry, coloured and damaged hair. 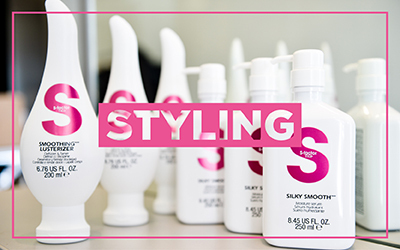 You are then able to create your memorable styles whilst hydrating, strengthening and protecting your locks. Complete your look with a dose of shimmer and hold and then step out in confidence with radiant and vibrant hair which truly dazzles. 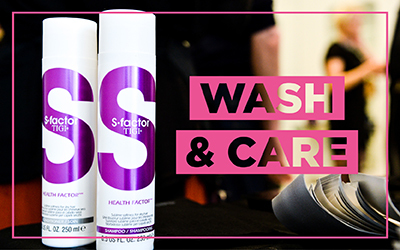 The TIGI S Factor collection offers tailored solutions for each stage of your haircare regime. With intense nourishment, repair, volume and shimmering shine, your hair will be at its sparkling best!